Jabesh Gilead - King Saul's first campaign as king was a successful one. It came against the Ammonites. Needless to say, the elders of Jabesh-gilead rejected the offer and held out while they dispatched messengers to Saul. 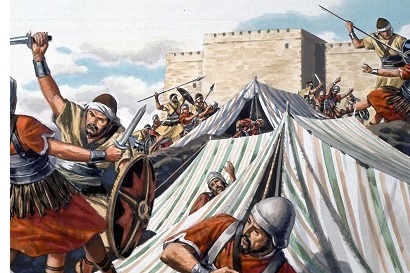 King Saul rallied Israel and marched on the city to relieve the siege.